Pictured is a side-facing view of the Garlick House at Castolon. The construction of the Garlick House post-dates the arrival of the Army. The house is associated with La Harmonia Ranch. 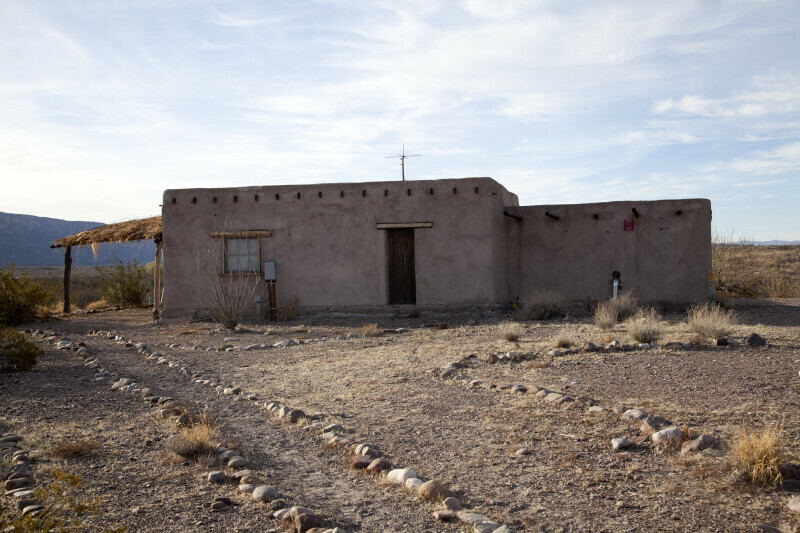 It has adobe walls, and is roofed with corrugated metal roofing.